October 6th: AboGua's National Director Select, Elmer Diaz, and Jesse Rivers interview a candidate for the Treasurer position for AboGua. 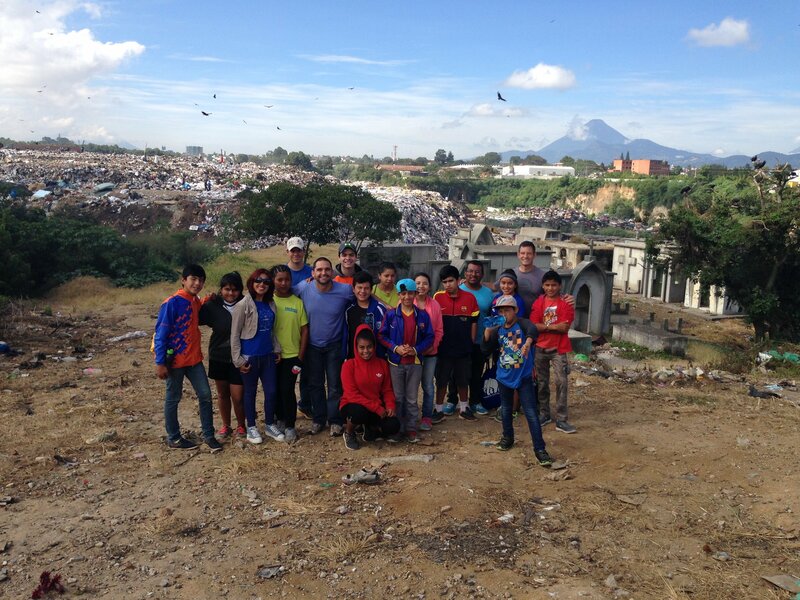 October 8th: Jesse Rivers joins with a church and two other ministries to bring some youth from a children's home to the city dump, to show the kids a worse level of poverty and life situation than what they have known personally. 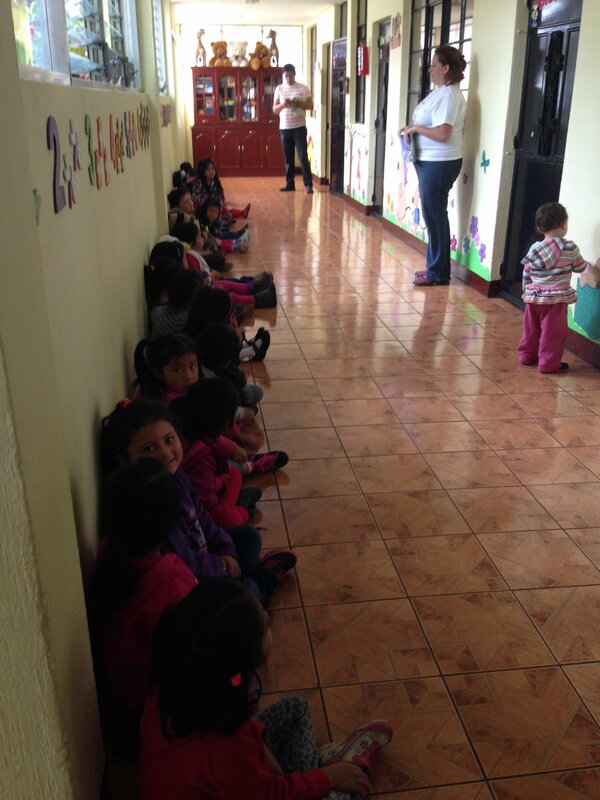 October 10th: AboGua representatives visit Special Kids' School to bless the ministry and the children. October 13th: Abogar purchases it's first ever work vehicle, BIG RED, to help Abogar workers and volunteers have more stable transportation for work on the ground in Guatemala. 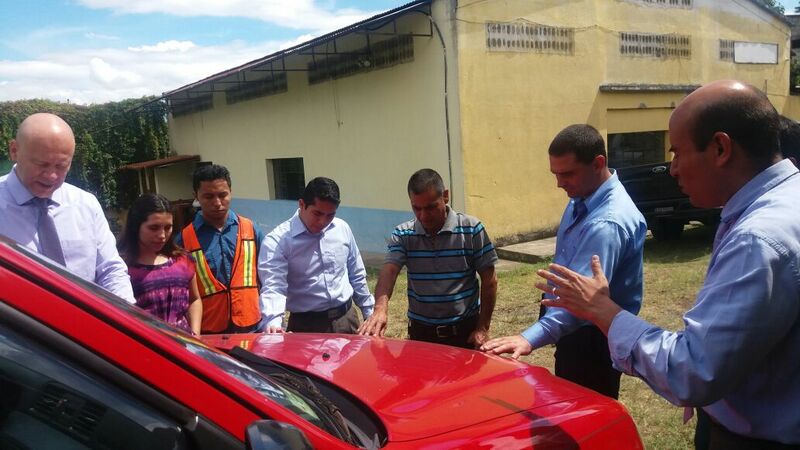 October 16th: Several members from the Leadership Team at the church Iglesia Nueva Creación pray a blessing over the new vehicle, BIG RED. October 17th: Jesse Rivers visits with Dan Smith, Founder of Paradise Bound Ministries, to foster the relationship and partnership between the two ministries. 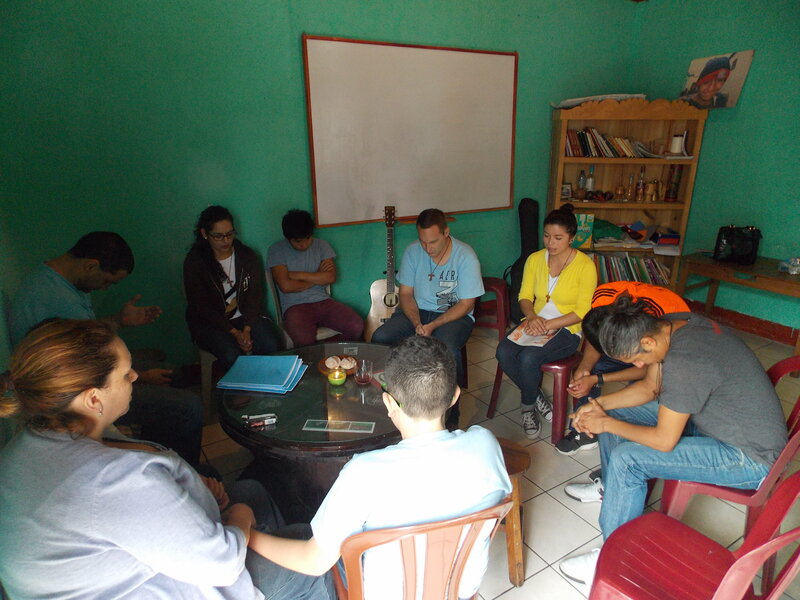 October 17th - 19th: AboGua representatives visit InnerCHANGE Xela, one of Abogar's partner organizations, to bless them and foster our relationship to work together for the glory of God. October 23rd: AboGua team members meet with th purpose of interviewing the Treasurer position candidate. The candidate never showed up, but AboGua members were blessed to fellowship together. Jesse Rivers to preach at Iglesia Nueva Creación. Dessert Fundraiser Night for the work of serving children in Latin America at Morning Hour Chapel in Berlin, PA! If you live nearby, please come join us for dessert and fellowship! Jesse Rivers to preach at Pathway Community Church in York, PA.
Abogar representative to share about the work of Abogar in Houston, TX. 4. For Abogar's year-end fundraising initiatives to help us reach our annual budget and capital campaign goals. 5. For continuing connections and opportunities to network and partner with other organizations and ministries in Guatemala. The movement and blessing of the Holy Spirit is a phenomenal thing. October has been a blessed month, with great connections, meetings, opportunities, and events taking place. We have sensed the faithful hand of God, the presence of the Holy Spirit, and the name of Jesus Christ being lifted high as we work to advocate for and help the precious children of Latin America. We've been able to watch God moving Abogar in the direction of His calling; as on Saturday, October 8th, I had the privilege and blessing of joining with the church I work with the youth at, Casa De Libertad, and a children's home, Fundaninos, that sends their children to youth group, AND with another ministry, Renewed Hope International to lead a trip for the youth to a community living in/on the dump border in Guatemala City! 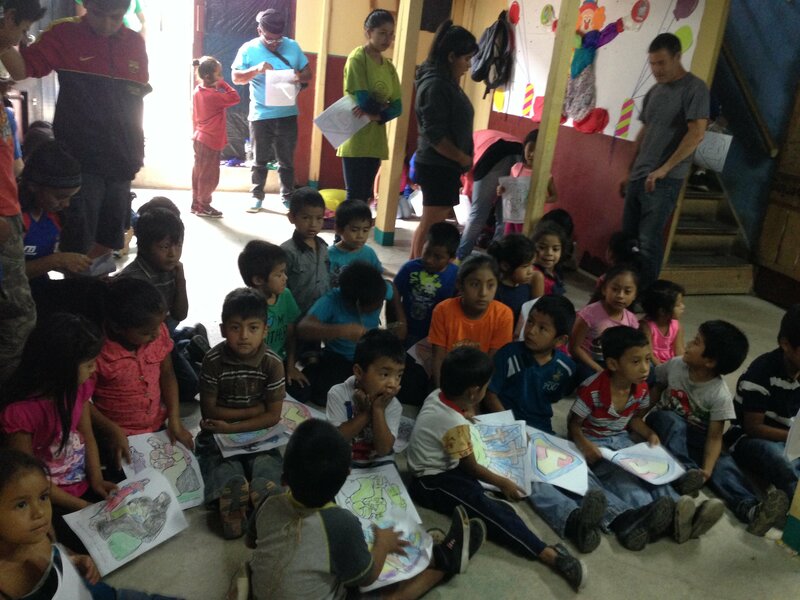 The children served the other children and people of the community so well and selflessly! I felt and feel like a proud father! 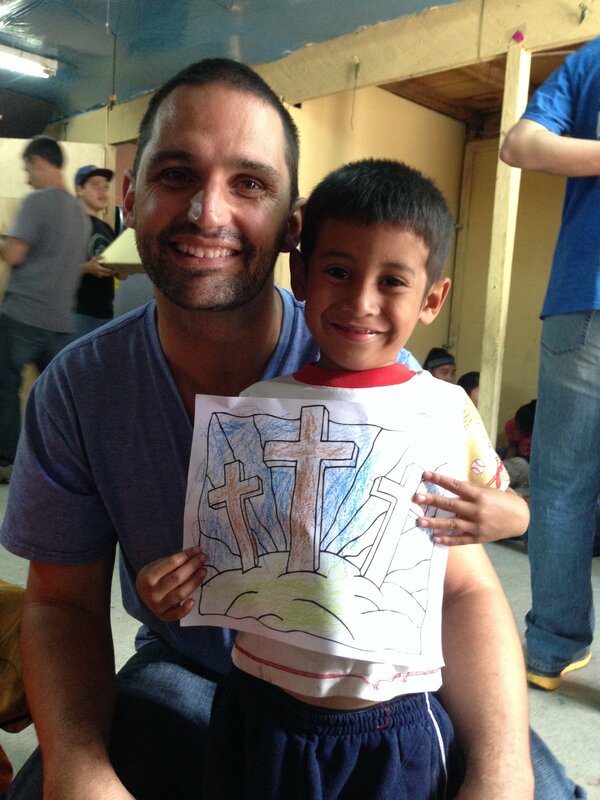 And it was so amazing to partner with a church and two other ministries! It was an amazing experience. Praise God! 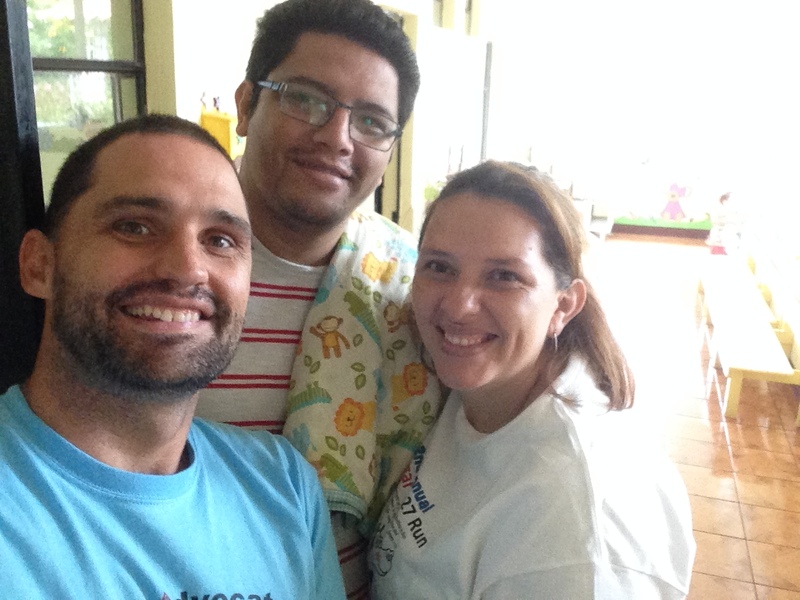 On October 10th I was accompanied by a Guatemalan couple who are part of AboGua, Elmer and Lily, to do a Special Event at the Special Kids' School where Abogar, through donations from some of our donors, has been granting scholarships/sponsorship for 15 children to receive their education. Lily read a bible story to the kids and we all spent some time loving on and getting to know them better. Please pray for Special Kids' School, as they are uncertain if they will be able to raise funding to continue the school this next year! On October 13th, with the much needed help from Elmer, I was able to buy Abogar's first ever work vehicle, to help me have stable and safe transportation for all my work when I am here on the ground in Guatemala. 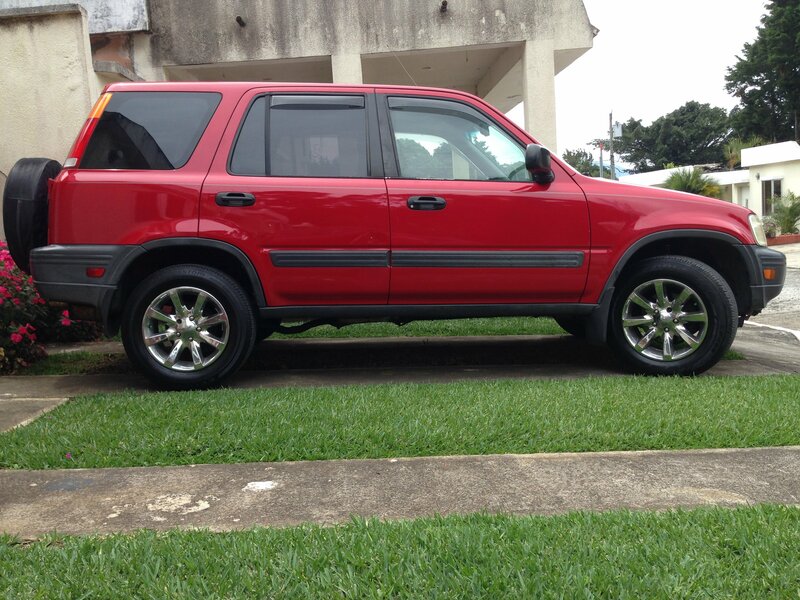 It's a 2001 Honda CR-V, and is bright red... hence, it's name is now BIG RED! Praise God for this blessings, which came from the generous donations of several of Abogar's donors. Thank you each so very much!! On October 16th, after church, my pastor and some other leaders surrounded BIG RED to pray God's blessing, protection, and provision over it! It was a very blessed time. 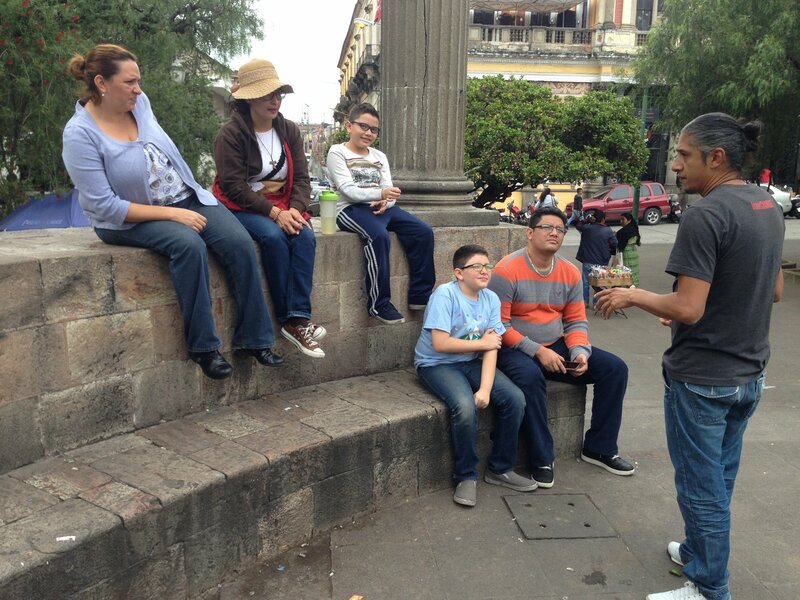 From October 17th through 19th Elmer, Lily, and I made a visit to one of Abogar's partner ministries, InnerCHANGE Xela, in Quetzaltenango, Guatemala. 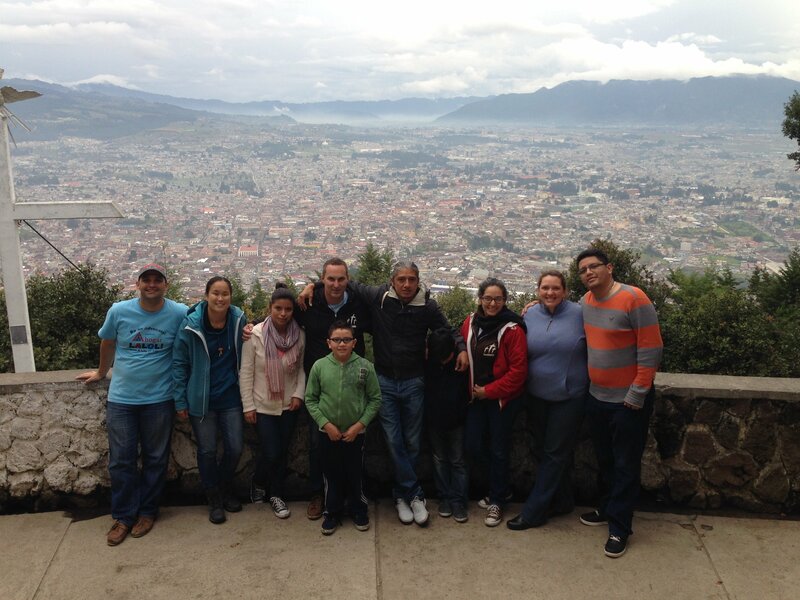 We had an amazing time sitting in the ministry's weekly prayer, praise, and fellowship time; as well as visiting the city, and even going up a mountain to look and pray over the city and the ministry of InnerCHANGE Xela. We are so blessed by them and all that they do for the children! We had a beautiful time of fellowship and blessing! Now, as November is here, most children are out of school and on vacation until early to mid January. My schedule is quite packed with preaching and advocating for the children, and I would personally ask your prayers for health, strength, and energy to be doing all that God has called and invited me and Abogar into! I want to wish each of you a very Happy Thanksgiving, and hope and pray that you will be sharing the holiday time with family and loved ones! Please pray for all the precious children who do not yet have that blessing nor opportunity! Thank you to everyone who prays for and/or financially supports the ministry of Abogar International Ministries. As we continue to watch God lead us forward, I look forward to sharing the blessings and victories that we shall have, seeing children receive forever families, forever homes, and educational opportunities!! To God be the glory!! cannot have more children. Melinda's family lives in very limited housing with several families. They have limited furniture and have to take turns with other families to eat. 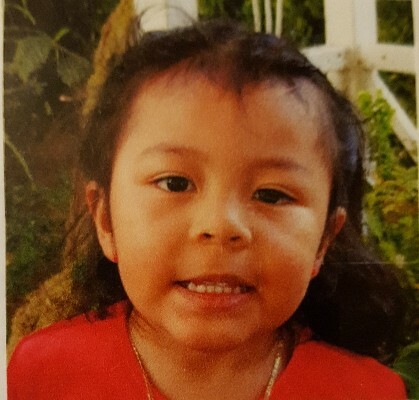 Melinda is a very sweet little girl. She could not speak before coming to the Special Kids School, but being in the program has helped her to develop her speech. Melinda's family and their financial situation to be blessed and prosper for the glory of God! God to make Himself known to Melinda as her Heavenly Father and for the Holy Spirit to continue to open her capacities in academic and social understanding and wisdom. 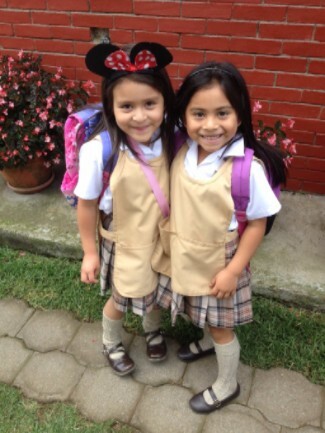 Praise God that Melinda has been able to learn to speak through the wonderful program at the Special Kids School! Copyright © 2016 Abogar International Ministries, All rights reserved.